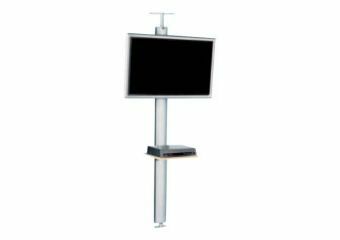 SMS Flatscreen CFH ST3000 doesn't need a wall to hang on - this ceiling-to-floor bracket puts your presentation at the center of things. A stylish bracket that holds up to three screens horizontally or two screens vertically. The design of the adapterplate makes it easier to mount. 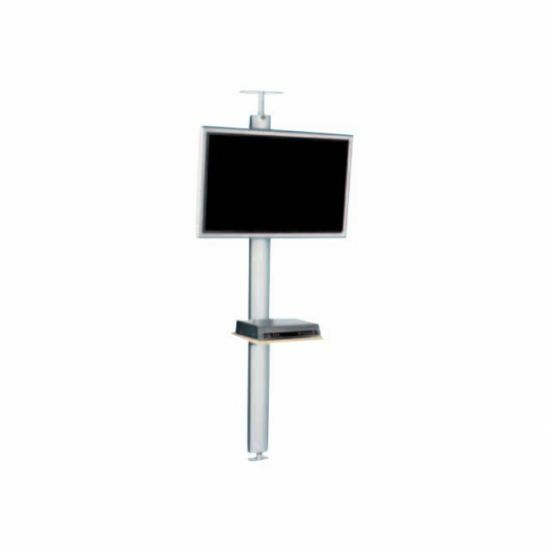 The design of the pillar allows you to, stepless, raise and lower you screen and shelves.